Salmonella outbreaks linked to Maradol papayas from Mexico have sickened 235 people in 26 states, the US Centers for Disease Control and Prevention said Thursday. Seventy-eight people have been hospitalized, and two people, one from New York and one from California, have died. The majority of the salmonella cases have been documented in California, New York, New Jersey, Virginia and Texas. Other states affected are Arizona, Colorado, Connecticut, Delaware, Florida, Iowa, Illinois, Kentucky, Louisiana, Maryland, Massachusetts, Michigan, Minnesota, Missouri, North Carolina, Ohio, Oklahoma, Pennsylvania, South Carolina, Tennessee and Wisconsin. The CDC noted that 69% of those sickened are Hispanic. As a safety precaution, the CDC advises that "consumers not eat, restaurants not serve, and retailers not sell recalled Maradol papayas from Carica de Campeche, Rancho El Ganadero, El Zapotanito or Productores y Exportadores de Carica Papaya de Tecom¡n y Costa Alegre farms in Mexico." Four separate salmonella outbreaks, each involving papayas imported the four farms, have been identified. Health officials are continuing to investigate. The CDC said it's "concerned that other Maradol papayas from other farms in Mexico might be contaminated with salmonella and are making people sick." Most people infected with salmonella develop diarrhea, fever and abdominal cramps within 12 to 72 hours of infection. Most recover without treatment, though the illness usually lasts between four and seven days. The Maradol papaya is a large, oval fruit typically weighing 3 or more pounds. The inside flesh of the fruit is salmon-colored, and the outside has green skin that turns yellow when ripe. 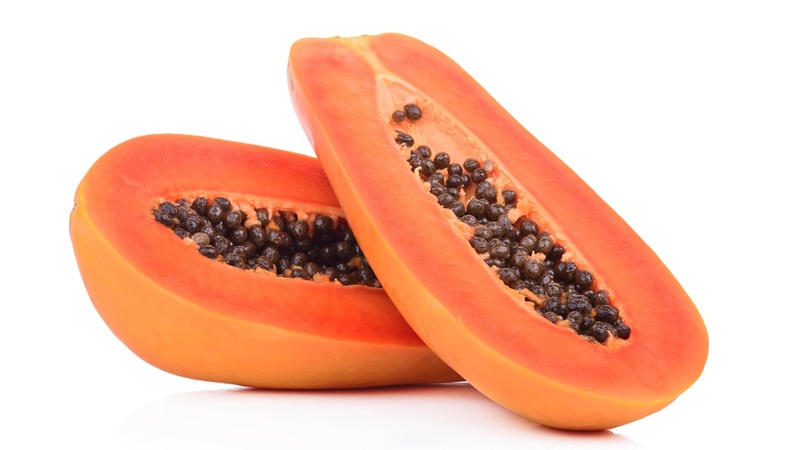 The CDC advises people ask restaurants and retailers about the type of papaya they're consuming or where it originated. The CDC also recommends washing and sanitizing countertops, drawers and shelves in refrigerators that may have stored Maradol papayas. Multiple companies have recalled papayas. Agroson's LLC recalled certain Cavi brands, Grande Produce recalled the Caribea brand, FreshTex Produce LLC recalled the Valery Brand, and Bravo Produce Inc. recalled Maradol papayas packaged by Frutas Selectas de Tijuana, S. de RL de CV., according to the CDC.